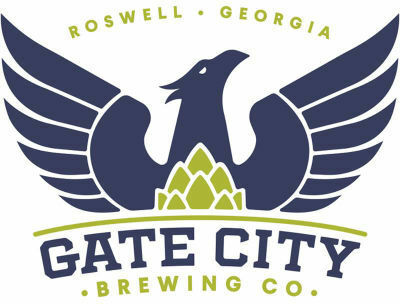 In conjunction with Atlanta Plays It Forward and the City of Roswell, Gate City Brewing is extremely pleased to announce their Presenting Sponsorship of the 2017 Alive in Roswell series. Gate City Brewing’s Alive in Roswell is a free, family-friendly festival held concurrently on Historic Canton Street, at Historic Roswell Square, and at Roswell City Hall’s Faces of War Memorial Park the third Thursday evening (5:00-9:00 p.m.) of each month from April through October. “We have considered introducing a named sponsor to enhance this tremendously successful event. Gate City, whose brewhouse, taproom and event space are always alive in Roswell, is a perfect fit,” said Atlanta Plays It Forward Executive Director Tom LaDow. The festival features live bands, food trucks, hundreds of interactive vendors, kids’ games and entertainment, and enjoys participation from the surrounding boutiques, small businesses and restaurants. This year for the first time, an interactive zone will be populated by several of Roswell’s fitness, sports and other physical activity providers. Roswell’s Parks and Recreation Department will offer a different program each month, and festival goers will be invited to participate in activities and demonstrations. “Alive in Roswell quickly became a city staple that my family and I loved to attend. Gate City welcomes this exciting opportunity to present an event whose commitment to the Roswell community mirrors our own,” said Brian Borngesser, Co-Founder of Gate City Brewing. Free regular trolley service connects the two venues. The festival features live bands, food trucks, kids games, face painting, balloons, etc. and enjoys participation from the many boutiques, small businesses and restaurants surrounding the venues.